Honor 8A is a new smartphone that is available for pre-orders in China. It is the successor to Honor 7A that was launched last year. The company will launch Honor 8A in China on January 8, but ahead of launch, it has been listed on Vmall online store for pre-orders. The online listing reveals all its specifications and pricing also. 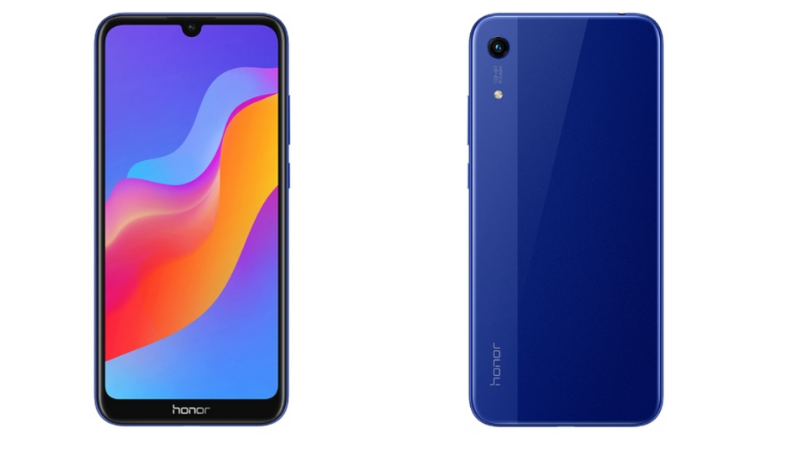 The highlights of the new Honor 8A include an HD+ waterdrop notch display, octa-core MediaTek Helio P35 processor with 3GB of RAM, and Android 9.0 Pie. The Honor 8A features a 6.09-inch HD+ (720×1560 pixels) IPS LCD display with a waterdrop notch. Under the hood, it is powered by an octa-core MediaTek Helio P35 processor coupled with 3GB of RAM. It comes with 32GB and 64GB storage options that is expandable via microSD card. In terms of optics, there is a single rear camera setup with a 13MP sensor with f/1.8 aperture, PDAF, LED flash and automatic HDR. For selfies, it sports an 8MP front camera with f/2.0 aperture. Connectivity options include 4G VoLTE, Wi-Fi 802.11 b/g/n, Bluetooth 4.2, GPS/ A-GPS, MicroUSB 2.0, and 3.5mm headphone jack. The device packs a 3,020mAh battery. The smartphone runs EMUI 9.0 based on Android 9.0 Pie. The Honor 8A price in China starts at CNY 799 (Rs. 8,000 approx.) for the 3GB/32GB variant. The price of 64GB storage variant has not been listed. The smartphone comes in Aurora Blue, Magic Night Black, and Platinum Gold colour options. The sale will begin tomorrow on January 8. There are no details available yet about the global launch of Honor 8A.